A few months ago I wondered what Leeds might do around the Tour de France and wrote this post which threw out some of my own ideas but also the concept pulling things together under one banner if possible in a non controlling collaborative sort of way. Well that umbrella is open if people want to be under it and it’s BikeFestLeeds. Yes it’s a Leeds thing but hopefully it will link to and with all the other amazing grassroot and community events that will be organised up and down the country. Culture Vultures pulled interested people together in March at the Wheels on Fire event and lots of people had all sorts of great ideas, not just for the immediate time around the event but this year and for the years after the Tour has gone. This I feel is vital if we want to grasp the unique opportunity to make a difference in the city. What I do know is that if half the stuff talked about that evening comes off then we are in for a right good time. For my own part East Street Arts kindly met me down the pub and were interested in some of my ideas and along with their own creative heft things are starting to happen as people come together to see what can be done. 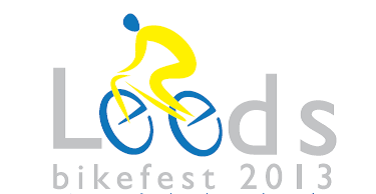 BikeFestLeeds is going to officially launch at the Sky Ride on 7 July where there will be all sorts of things going on but the idea is to have things happening from now through to October, linking up with Leeds Light Night then take a break to draw breath before kicking things off for 2014. A marquee hosting an open exhibition where people of all ages can come along and exhibit their customised bikes with a series of awards for categories of bikes ( best in show, best decorated, best customised etc). Chain Reaction Sound System, a pedal powered sound system with a community jukebox of cycling related songs. Citizen Bike this will be is prototype build of a new interactive artwork set to tour Yorkshire in 2014. Lead artist Adam Young asks the question ‘can the people of Leeds beat the professionals? Citizen Bike will invite the public to clock up the official Tour De France distance in three weeks. A live webcam feed will monitor progress and ensure you are able to check in on the action where ever you are. Juliana’s Bike A very special Open Source building project, a bike that is a hostel. Yes a bike you can live in! Bike Snap Exposure Leeds and Leeds College of Art students taking pictures of cyclists throughout the day which will be collated into a live feed in the show room where people can then be provided with a web address to download their snaps. In the evening there will be Blast Theory Rider Spoke which is a real world game of ‘cat and mouse’ for cyclists combining theatre with game play and state of the art technology. Blast Theory are 4 times BAFTA Nominated and internationally acclaimed. This will take place across various venue TBC around Leeds city centre. The Adventures of Don Quixote by Bicycle: Burn the Curtain reveals the kingdom of La Mancha by bicycle, and lives to tell the tale! Travelling on bicycles through the city, actors and audiences take part in the colourful and misguided escapades of Don Quixote and Sancho Panza. This exciting interactive experience includes custom-designed bikes that even a medieval knight would be proud of. All you need is your own wheels – and a sense of adventure! Pedal Power Chariot Racing: Join the nobel quest to resurrect this ancient sport. Looking at design, safety, rules of engagement and more in this bespoke introduction to Leeds’ first pedal-drawn chariots. 10 June (2-4pm) contact adam.young@esamail.org.uk to book. A Toolkit for City Cycling: Workshops aimed at building confidence and skills for anyone intrested in cycling for transport in the city. Learn how to carry out basic maintenance and be more confident riding in traffic. Led by qualified bike mechanics and nation cycling instructors. 23 and 30 June / 7 July (12-3pm) contact either adam.young@easamail.org.uk or mybikeleeds.wordpress.com or pedallers-arms.org. Caravan Cinema: A mobile (caravan) cinema, powered by pedals, showing a range of films. Exhibitions: A series of exhibitions showing a range of artists’ work. Pop-Up Shop: A city centre pop-up shop exhibiting and making available a range of customised bikes and unique merchandise to customise your bike. Guerrilla & Social Activity: The establishment of a new bike club for Leeds – Souleaters BC – based on models of Motorbike Clubs with members’ patches, club ride outs, a Club House and an official member nominated charter. 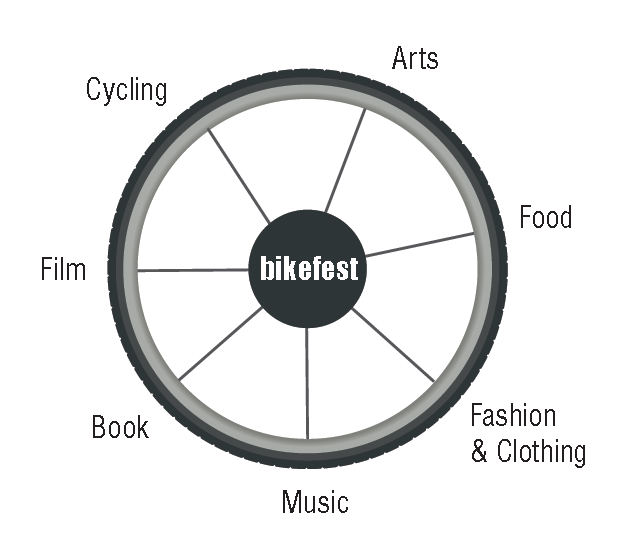 and a plethora of social and interactive events springing up as the BikeFestLeeds develops. Keep your eye on Juliana’s Bike for details of all events detailed above that have been or are being organised at the moment. Pretty exciting stuff I’d say. Good luck with the events and yes, put me down as a definite! Cheers Andrew and thanks for reblogging. I’ll be in touch with ideas shortly. It’s great to see events like this, something a little different and a real focal point for cyclists. Good luck guys! Cheers for the Re-blog much appreciated. cheers I’m playing a tiny role but it is good to see all sorts of suuee coming together that can fit alongside the main big things that will happen.